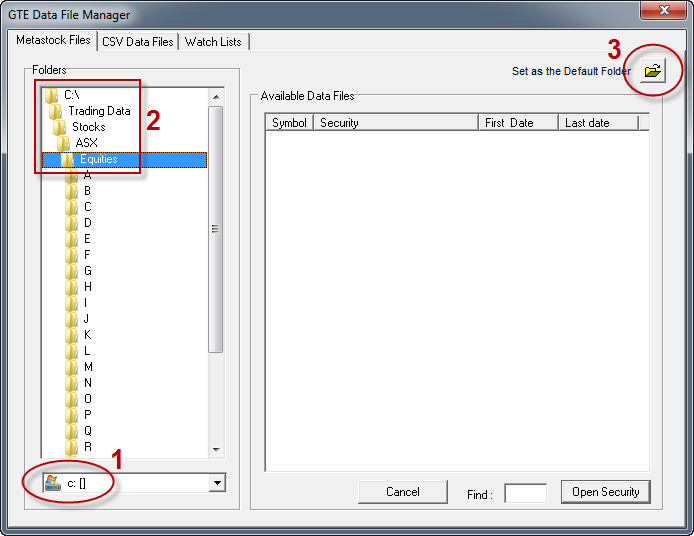 The following steps outline how to configure GTE to read the data from Premium Data, DataTools or Premium Forex. These steps assume that you have already installed our data on your machine. 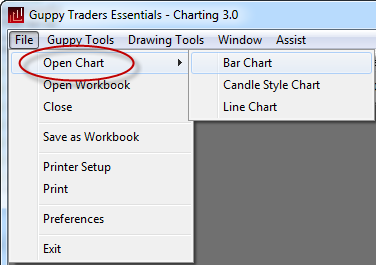 The following example demonstrates how to open an ASX stock. 1. Change the drive selection if required. 2. 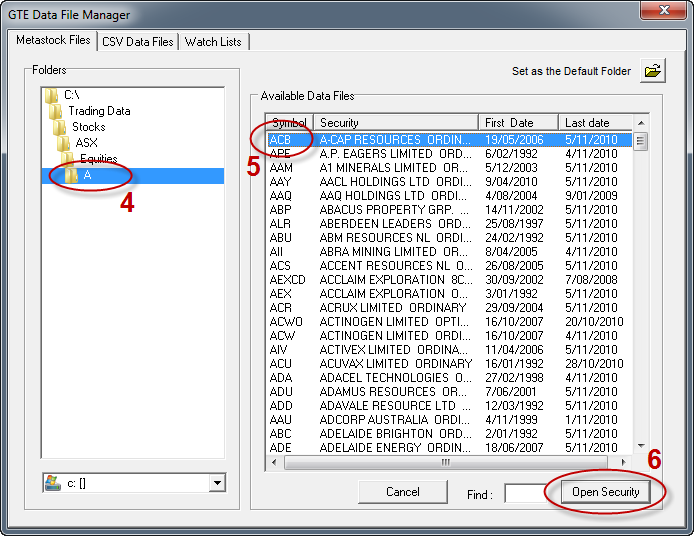 Select the "Trading Data" folder (the default on installation is "C:\Trading Data") and then browse to the "Stocks\ASX\Equities" sub-folder. 3. 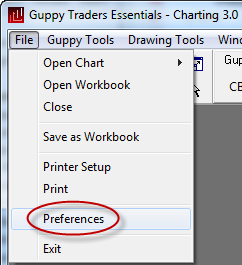 Highlight the "Equities" folder and click on "Set as the Default Folder". 4. 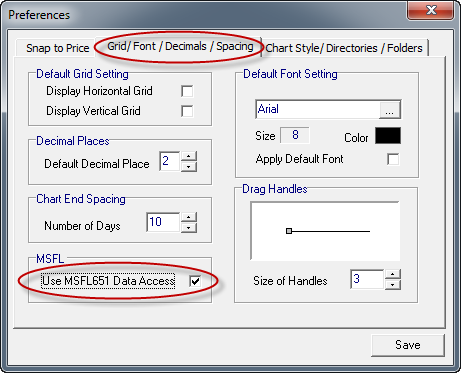 Select the appropriate alphabetical sub-folder. 5. Select the desired security. 6. Click on the "Open Security" button.